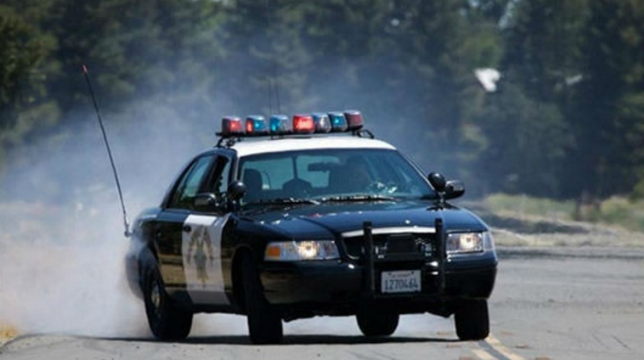 A 34-year-old pedestrian suffered major injuries when he was struck by a big rig after exiting his vehicle and walking onto freeway lanes near Oceanside, officials said Wednesday. Shortly before 11:25 p.m., the man was driving a Hyundai sedan southbound on Interstate 5 north of Oceanside that collided with a different semi truck, California Highway Patrol Officer Mark Latulippe said. The initial collision caused the Hyundai to overturn and come to rest down an embankment. For unknown reasons, the man got out of the sedan and walked back up the embankment and onto the freeway, Latulippe said. He was in the lane just left of the slow lane on southbound I-5 when another semi truck hit him, Latulippe said. The victim was transported to Scripps Memorial Hospital La Jolla with major injuries, Latulippe said. Both semi truck drivers remained on scene and cooperated with officers, Latulippe said. Alcohol or drugs were not believed to be factors in the crash, Latulippe said. Officers shut down all southbound lanes of I-5 for around 45 minutes following the crash. CHP officers were investigating the collisions.